The NFLA’s Fire Mitigation Committee sponsored its annual Firewise workshop on July 13, 2016, preceding the Summer Interlocal meeting. About 45 people attended. 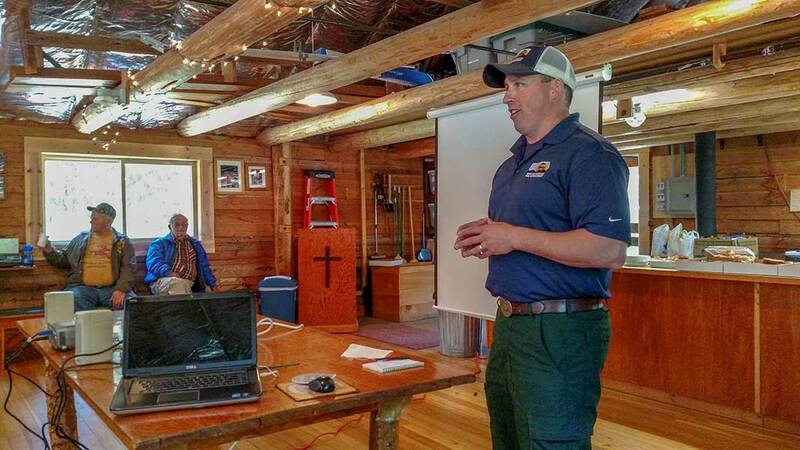 Committee co-chair Allen Chrisman once again put together an outstanding program, with presentations from all of the federal, state and local agencies with wildfire responsibilities on the North Fork. Angela Mallon and Erik Warrington represented the DNRC. According to Ms. Mallon, grant funding for fuels treatments by private landowners probably will continue. In order to assure that grant monies are well-spent, the DNRC recently decided to model and evaluate the effectiveness of treatments in different forest types in Montana. In the past, the DNRC has recommended a uniform prescription for fuels treatments, calling for a minimum of 10’ between the crowns of trees. Based on its recent physics-based modeling, however, the DNRC now recommends that treatments be designed around site-specific attributes. Basically, except around homes, one size does not fit all. Landowner preferences are taken into consideration, too. The DNRC continues to encourage at least 300’ of defensible space around homes. Ms. Mallon also emphasized the benefits of pruning trees to remove ladder fuels. Doing so encourages fire to drop to the ground, making firefighters’ job easier. Smith Valley’s James Brower spoke on behalf of Flathead County, which has structure protection responsibilities on the North Fork. He commented that it takes a long time for a structure engine to reach the North Fork, so that it’s up to landowners to make their homes more defensible. He further commented that engines won’t enter overgrown driveways because of life safety concerns. If possible, the county prefers two means of ingress and egress from a property. Mr. Brower added that woodsheds are structure firefighters’ nemesis. He suggested placing mesh over woodshed openings so embers can’t reach the firewood stored there. He also warned attendees not to stash firewood on decks or adjacent to structures. Andy Huntsberger recently was named Fire Management Officer for the Flathead Forest’s Hungry Horse-Glacier View District. 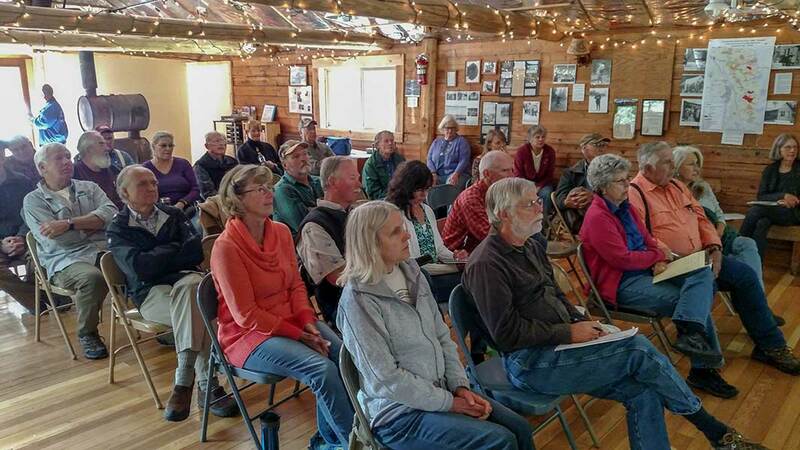 He told attendees that the Glacier Rim Fire in 2015 had brought home the potential for reburn on the North Fork. We were lucky last year because the North Fork did not get significant lightning. Almost 100,000 acres burned in the South Fork, however. Mr. Huntsberger encouraged us to keep doing what we’re doing to protect our homes, as to make good decisions in the event of a fire. He stated that three lookouts will be staffed this summer, providing good coverage. He also mentioned that the Forest Service usually flies over the area the day after a lightning storm to check for any resultant fire starts. Manny Mendoza, deputy FMO, commented that El Nino weather pattern appears to be breaking down. He said that fuel moistures were “pretty good” going into the mid-July to September fire season. 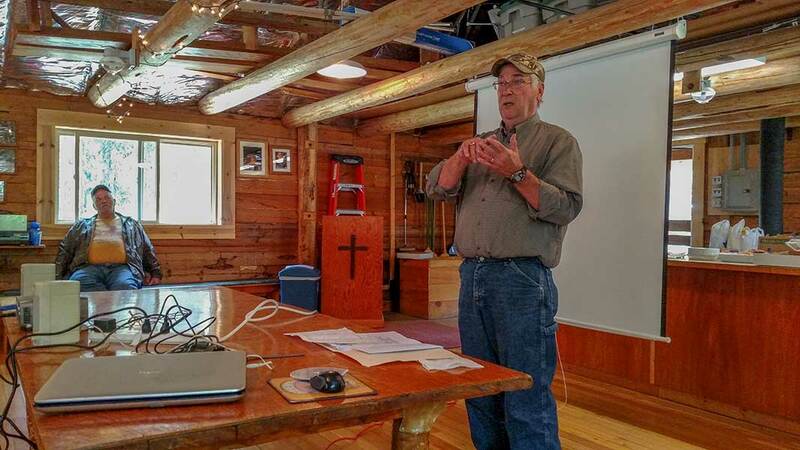 Bill Swope of the Flathead Economic Policy Council has worked with landowners for more than 10 years, implementing our hazardous fuels grant program. He estimated that they have probably spent $1 million in the North Fork since the fires of 2003. Although about $18,000 is left in our fourth grant, the monies largely have been committed. We’ll probably apply for a fifth grant if the opportunity arises and will attempt to preserve our traditional cost-share ratio whereby the grant pays 75% of the cost of a project and the landowner pays 25%. Mr. Swope remarked that grant monies may not cover the full cost of a job. For example, technical specifications may not provide for as much clean-up work as a landowner wants to have done. In that event, the landowner is responsible for the cost of any additional work. The Fire Mitigation Committee is grateful for the continuing support and collaboration of agencies with jurisdiction on the North Fork, including their participation in our Firewise Day workshop.